This page lists the various activities going on alongside and beyond the keynotes, panels and papers. The exhibition unpacks the Aboriginal concept of Ngurra (camp/Country/Home) to explore the dynamics and meanings of life in the Western Desert communities. The exhibition is a collaboration with Ngaanyatjarra artists, and explores mobility, youth culture, fashion and technology in the formation of contemporary modes of belonging. AAS delegates will have opportunities to visit the exhibition with Museum curators Glenn Iseger Pilkington and Professor John Carty. 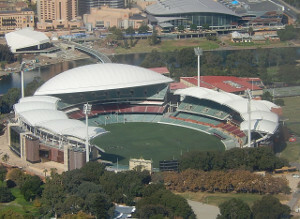 If any delegates are interested in attending the match, then they should make contact with Richard Vokes directly – richard.vokes(at)adelaide.edu.au – who has arranged a block booking for the games. Australian supporters are warned, however, that they should prepare to be disappointed with the result! (writes Richard). This year’s program will focus on mapping technologies, research for compensation claims, and the challenges of developing applied research projects about pre- and post-determination native title disputes. See the full program here. The agenda includes an Open Forum Session that provides participants with an opportunity to ask any research or practice questions they may have been grappling with, as well as a space to announce upcoming events, new publications, and development opportunities. Items were requested to be sent in advance, but additional agenda items are welcome on the day. We also invite participants who have particular knowledge or experience of research mapping technologies to get in touch, and we’ll make time on the agenda for discussion and/or demonstration. (We are particularly keen to hear from anyone who may have used drones for native title research!). And if you have any particular questions about mapping tools that you would like answered, send those to Pam (details below) in advance. Registration for this event is essential, and is separate to the main conference registration process. James Scott elaborates on his experiences with fieldwork, and offers advice for students. David Martin shares insights into the job market for anthropologists. Helen Lee speaks about the entangled issues of gender and employment. Learn about how to present informative and entertaining papers with Julie Finlayson. Everyone is welcome, but please register. Space is limited, so book now! 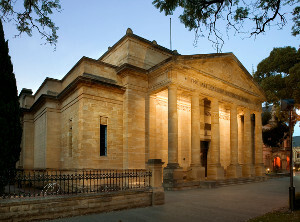 The collection began in 1881 and is one of the largest in Australia, boasting over 47,000 works of art, including the work of internationally acclaimed artists. 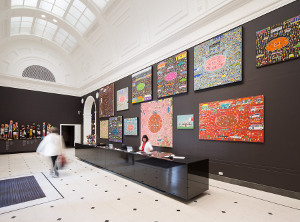 Under the creative direction of Director Nick Mitzevich the Gallery has enjoyed significant momentum and growth and has repositioned itself with a renewed focus on contemporary art. The 2017 TARNANTHI Festival will build on the success of the 2015 event, by presenting the art of Australia's rich and diverse Indigenous cultures on an unprecedented scale. A platform for important stories from across the country to be seen and heard, TARNANTHI offers an unmissable opportunity to experience the best of contemporary Aboriginal and Torres Straitrow Islander art. Association of Social Anthropologists of the UK and Commonwealth would like to invite its members to their annual general meeting. Download the agenda and last year's minutes. How do fishers extend their bodies and senses to work beneath the surface of the sea in places they cannot see, have never been, and could not survive in? And at what risk? This book explores how fishers make the sea productive through their labour, using technologies ranging from wooden boats to digital GPS plotters to create familiar places in a seemingly hostile environment. It shows how their lives are affected by capitalist forces in the markets they sell to, forces that shape even the relations between fishers on the same boat. Fishers frequently have to make impossible choices between safe seamanship and staying afloat economically, and the book describes the human impact of the high rate of deaths in the fishing industry. 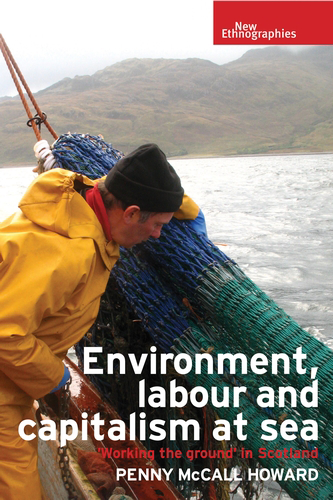 The book makes a unique contribution to understanding human-environment relations, examining the places fishers create and name at sea, as well as technologies and navigation practices. It combines phenomenology and political economy to offer new approaches for analyses of human-environment relations and technologies. Combining phenomenology and political economy, it offers new approaches for analyses of human-environment relations and technologies. 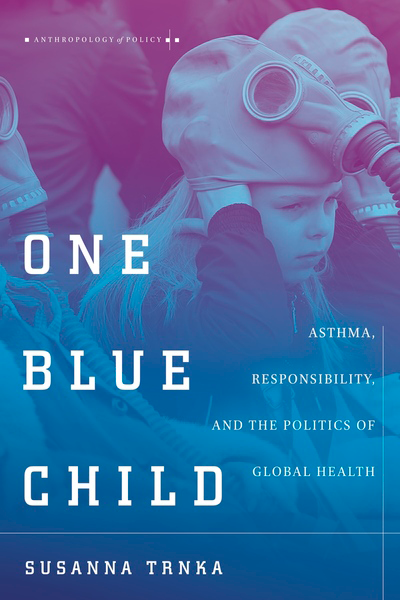 The book will be launched by Professor Linda Connor (University of Sydney) and Dr. Alexander Smith, New Ethnographies series editor, Manchester University Press. Delegates will have an opportunity to taste and buy wines from local wine-growing regions, including the Barossa Valley and McClaren Vale. It is one thing to know what the law says: it is another to try to understand what it means and how it is applied. In native title, when Indigenous relationships with country are viewed through the lens of a Western property rights regime, this complexity is seriously magnified. 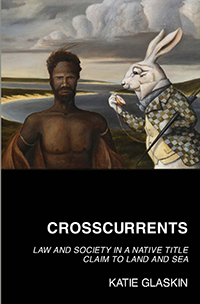 Crosscurrents traces the path of a native title claim in the Kimberley region of Western Australia – Sampi v State of Western Australia – from its inception to resolution, contextualising the claim in the web of historical events that shaped the claim’s beginnings, its intersection with evolving case law, and the labyrinth of legal process, evidence and argument that ultimately shaped its end. All ASAANZ members are welcome to attend the annual general meeting. Students and early career anthropologists are particularly encouraged to attend. Come along for drinks and nibbles to celebrate the Australian Anthropological Society’s Distinguished Lecture for 2017. 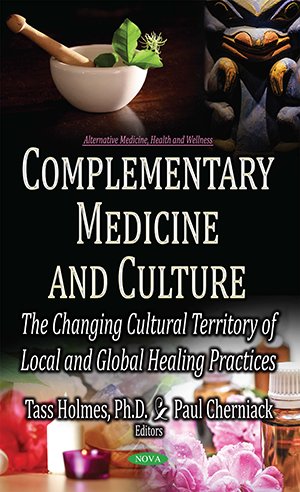 Chapters describe issues ranging from attrition of cultural heritage and healing knowledge, or traditional knowledge (TK), to the implications of unconventional healing in various guises, encountered during various research fieldwork in communities of Australia, Africa and institutions of mainstream healthcare in USA. It explores philosophical aspects of contemporary complementary and alternative medicine (CAM) practice, including Chinese and integrative medicine, and engages with social theory domains. The book is relevant to theoretical and anthropological understanding of these diverse fields, and is pertinent for CAM practitioners and consumers, Indigenous health contexts, and marginalised consumers. 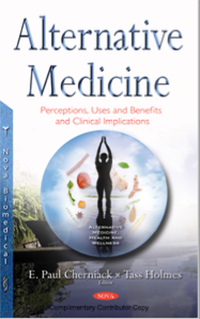 Chapters include literature reviews (such as study findings about the benefits of CAM for elderly persons and of laughter therapy, from the USA, and herbal treatments for pain, in Mauritius), and original studies (including an anthropological study of poor CAM consumers in Australia, and others about the location of naturopaths’ practice in Canada, and the use of mindfulness meditation among nursing students in Scotland). This year, the release of the Australian Human Rights Commission ‘Change the Course’ Report and the #metoo movement of women sharing their experiences across social media has shed light on the extent of the problem of sexual assault and harassment in all spaces, including academia. It has also brought about a critical moment for us to confront issues that have tended to remain private. Join us to begin a conversation and take action on how anthropology scholars and associations can best respond to this crisis going forward. How are higher education institutions being reconfigured as entrepreneurial universities¹ and as knowledge organisations¹? How are new kinds of management and governance regimes transforming the culture of academia? How are universities coping with these diverse and seeming contradictory policy agendas? How are national and international reforms impacting on the social purposes of the university and its relationship to society? 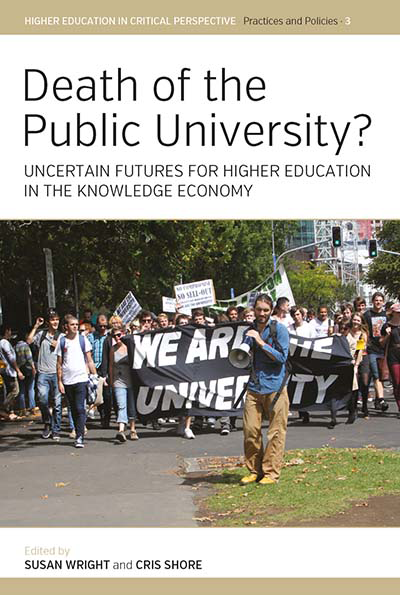 What possibilities are there for alternative university futures? 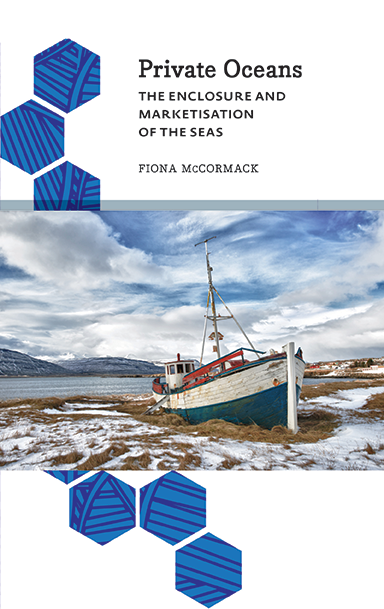 Grounded in fieldwork in New Zealand, Iceland, Ireland and Hawaii, McCormack offers up a comparative analysis of the mechanisms driving the transformations unleashed by a new era of ocean grabbing. Exploring the processes of privatisation in ecosystem services, Private Oceans traces how value has been repositioned in the market, away from productive activities. The result? The demise of the small-scale sector, the collapse of fishing communities, cultural loss, and the emergence of a newly propertied class of producers - the armchair fisherman. Ultimately, Private Oceans demonstrates that the deviations from the capitalist norm explored in this book offer grounds for the reimagining of both fisheries economies and broader environmental systems. They reveal that neoliberalism's reification of the responsible subject masks the myriad forms of individual and collective responsibility that people engage with in their everyday lives, from accountability, self-sufficiency, and prudence to care, obligation, and culpability. The essays—which combine social theory with ethnographic research from Europe, North America, Africa, and New Zealand—address a wide range of topics, including critiques of corporate social responsibility practices; the relationships between public and private responsibilities in the context of state violence; the tension between calls on individuals and imperatives to groups to prevent the transmission of HIV; audit culture; and how health is cast as a citizenship issue. 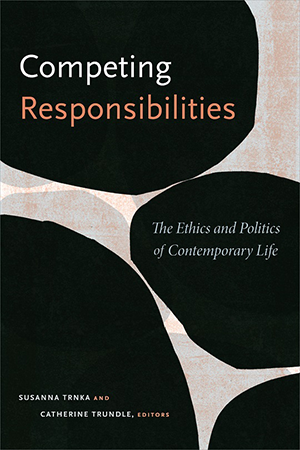 Competing Responsibilities allows for the examination of modes of responsibility that extend, challenge, or coexist with the neoliberal focus on the individual cultivation of the self. This session introduces participants to the ARC Centres of Excellence process, the expressions of interest for which close mid-2018. It aims to encourage greater participation from the humanities and social sciences sector to form centres that seek to address major research problems for disciplines and/or major research problems to which Anthropology can make a major contribution! The Paleo diet’s vast popularity, replete with impassioned celebrity endorsements and deep commitment among adherents, has been matched by an equal measure of media mockery and condemnation from health authorities. But beyond the hype, who are the people taking up the diet, and why are they drawn to its restrictive regime? Based on ethnographic research in Melbourne and Sydney, Gressier recounts the compelling narratives of individuals struggling with illness and obesity in order to argue that going Paleo provides a sense of agency, and means of resistance, to the politico-economic structures fuelling the prevalence of lifestyle diseases. 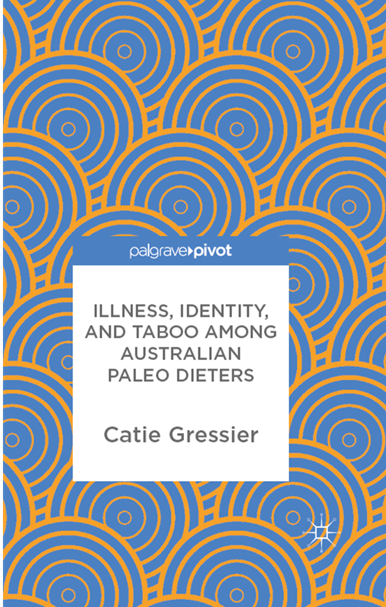 From its nostalgic appeal to an idyllic past, to the rise of health populism globally—where a sense of crisis, anti-elite sentiments, and new forms of media are fuelling a lucrative alternative health industry—this book explores the promise and pitfalls of the Paleo diet in Australia. All AAS members are welcome. The National Wine Centre prides itself on not being a traditional function venue. Its pillarless function spaces have full natural light, and its catering showcases the best of local produce. 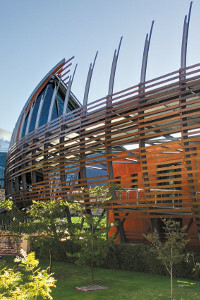 The Centre houses the largest wine tasting experience in Australia, which adds a unique dimesnion to the dining experience. The three-course meal will be garnered with plenty of wine and music. The annual AAS prizes for best Honour’s and PhD theses, and best article, will be presented during the evening. Tickets sold-out in advance, but do swing by the conference office in Napier 205 to see if any colleagues are trying to sell their pre-booked tickets! Within the context of national and international policy development, debates about the 'value' of water tend to focus on things that can be measured quantitatively. 'Cultural value' is seen as a separate and rather marginal domain, having something to do with spiritual meanings or cultural heritage. In 2016 the United Nations decided that, to encourage Heads of State to give higher priority to cultural values in relation to water, it would develop a set of guiding Principles for Water. For anthropologists involved in this project, the challenge was therefore twofold. First: how to articulate 'cultural' values in ways that Heads of State and their policy makers could engage with and integrate into their decision-making. Second: how to smuggle a more unifying theoretical approach into the process, and thus to subvert assumed categorical divisions sufficiently to demonstrate that 'cultural values' are as central to economic activities and relationships with the environment as they are to 'spiritual domains. This paper describes the adventure entailed in trying to meet both of these challenges.